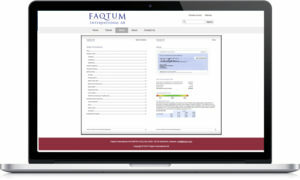 Faqtum International AB is a Sweden-based financial advisory company that provides company valuation for its clients. They use a team of experts that combine a valuation report using the DCF method based on the financial data provided by the client. It is possible to view a sample valuation report. Faqtum uses a team of experts that combine a valuation report using the DCF method based on the financial data provided by the client.